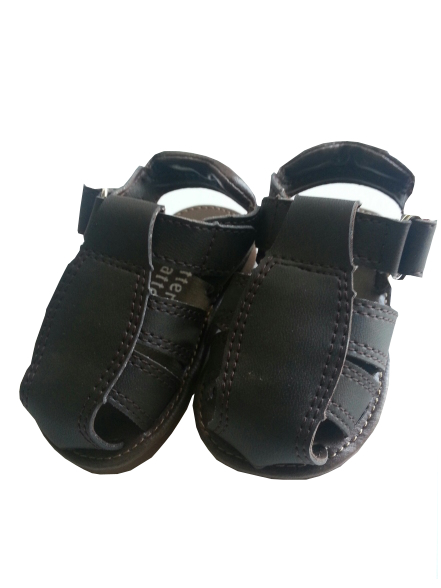 Classic style fisheran sandals in a brown PVC faux leather. A great washable sandal for the beach and pool. Velcro closure. Softly padded strap at the back of the ankle for comfort. Rubber sole. From Pitter Patter. They run true to size..